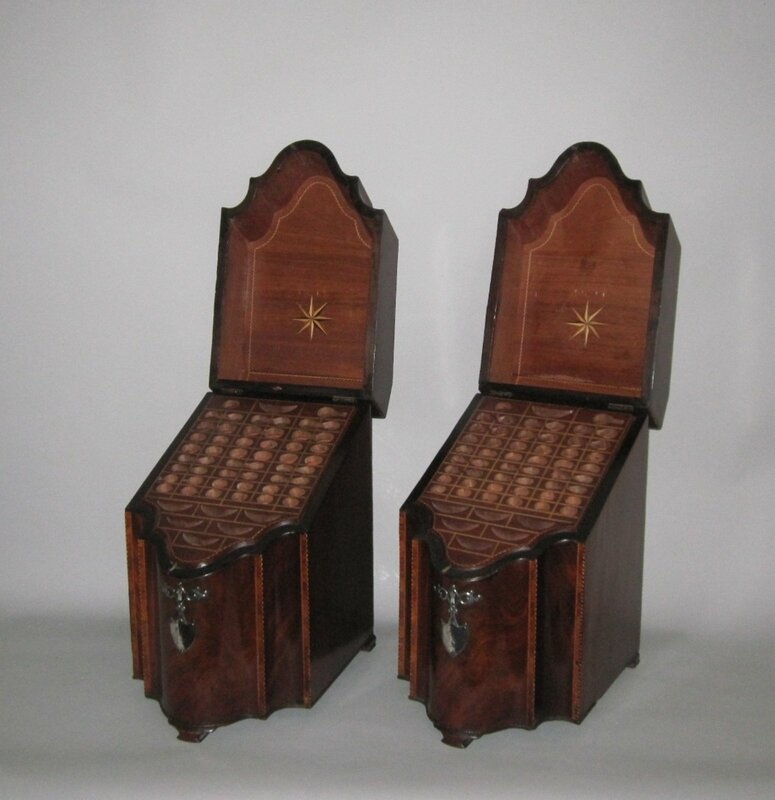 A FINE QUALITY PAIR OF 18TH CENTURY MAHOGANY KNIFE BOXES. GEORGE III, CIRCA 1790. Of fabulous quality, each of serpentine lidded form, cross banded in tu;ipwood with feathered banding, the tops inlaid with a satinwood conch shell, raised on three shaped bracket feet and with original silver mounts. Retaining their original fitted interiors with corresponding inlay and star motifs to the inner lids.